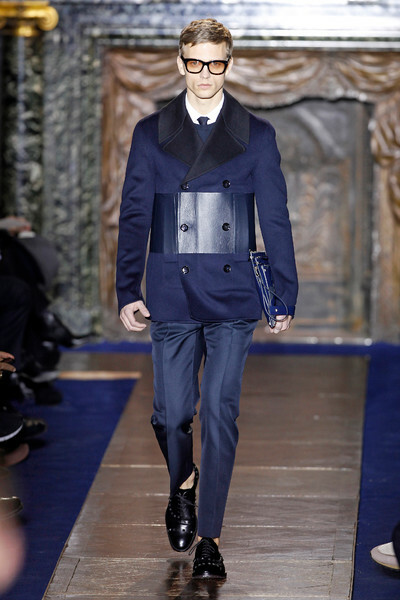 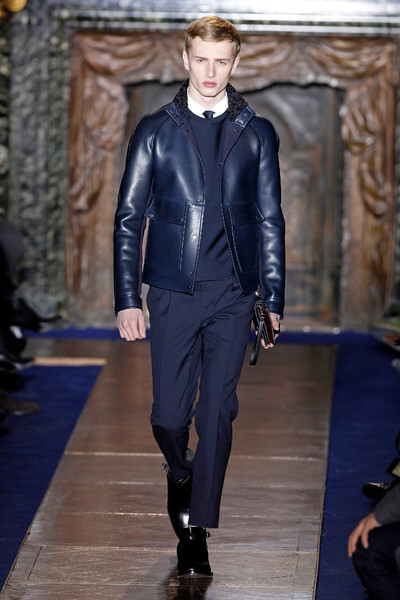 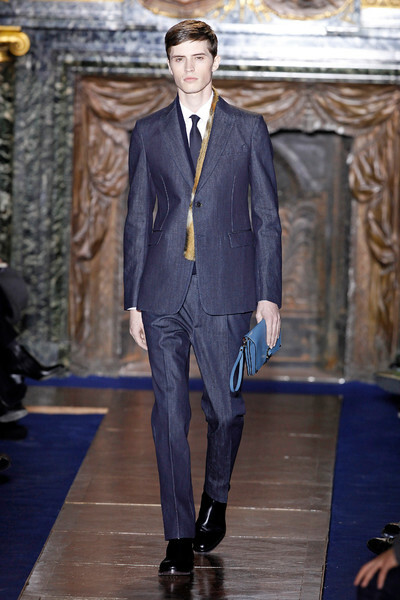 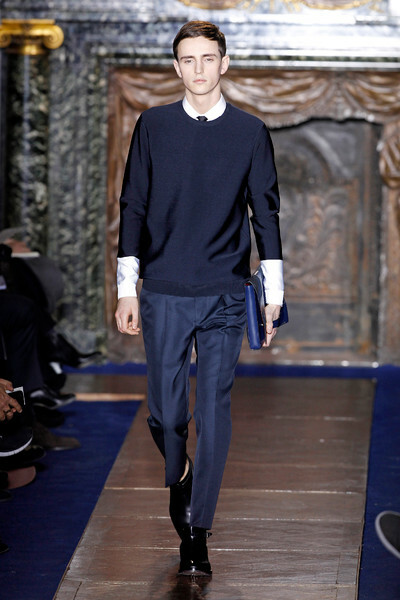 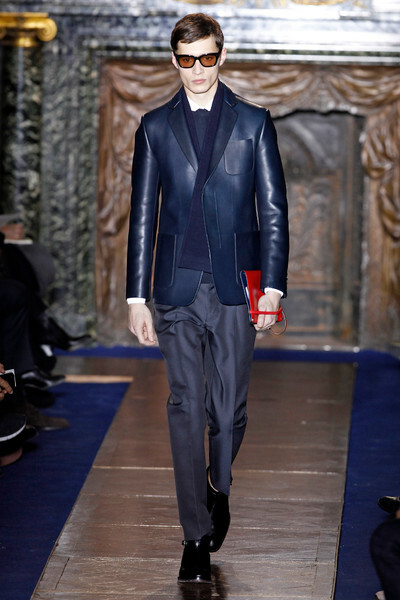 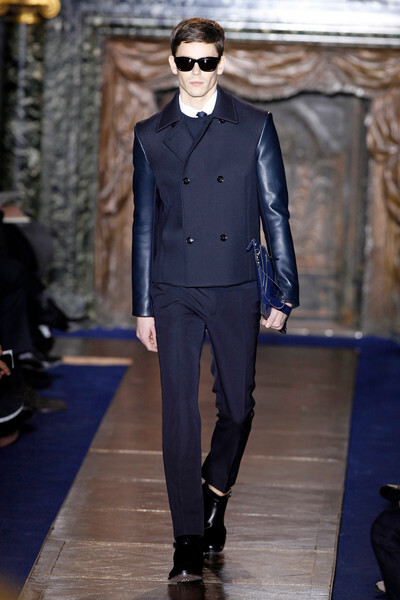 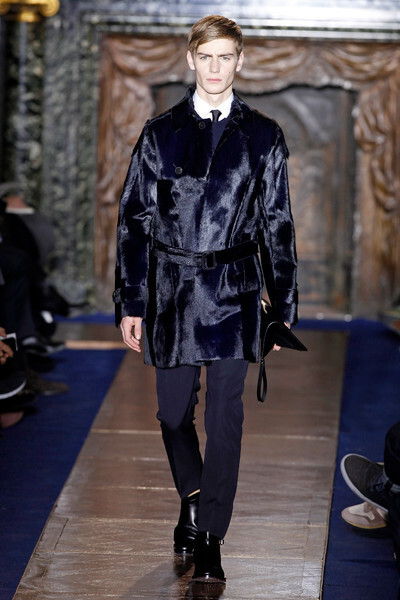 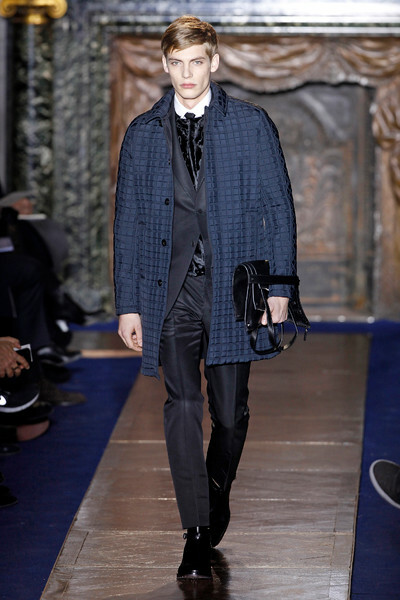 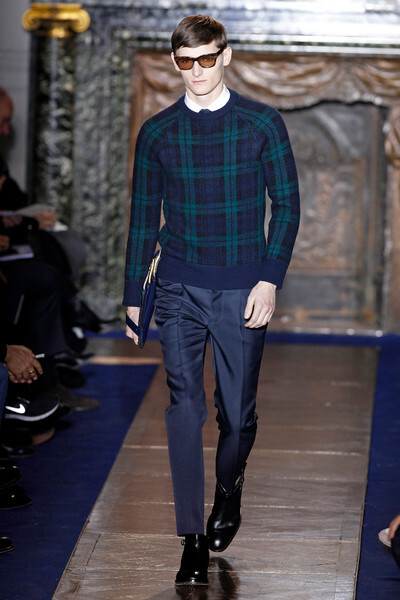 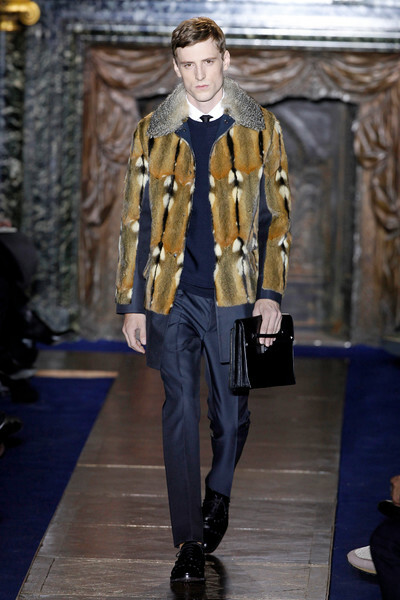 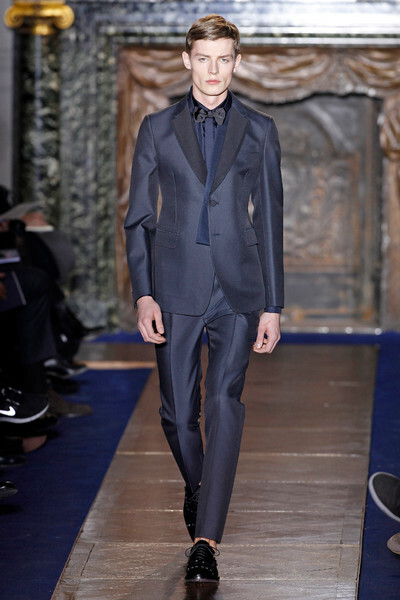 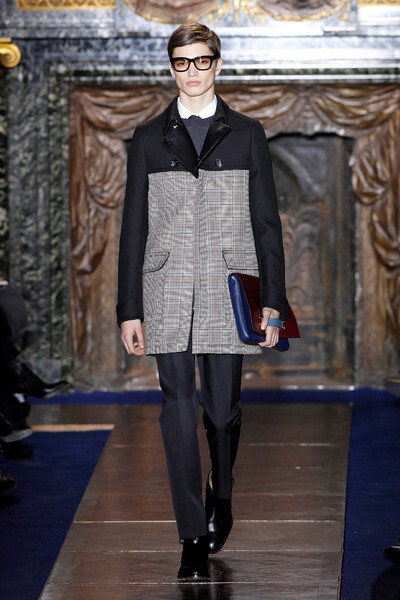 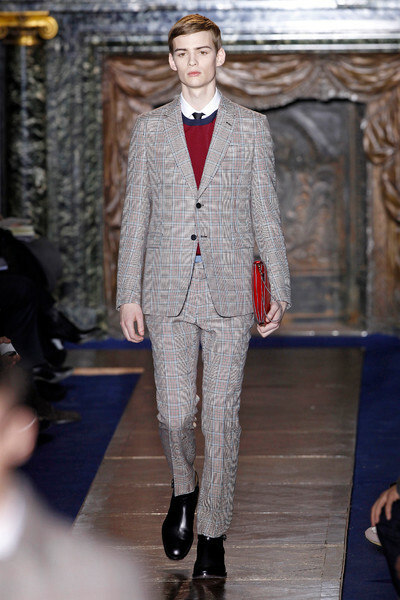 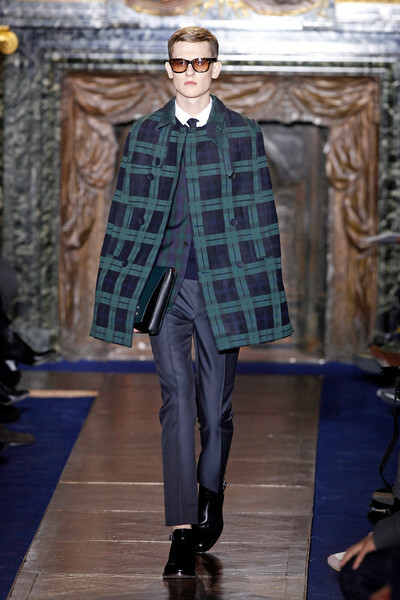 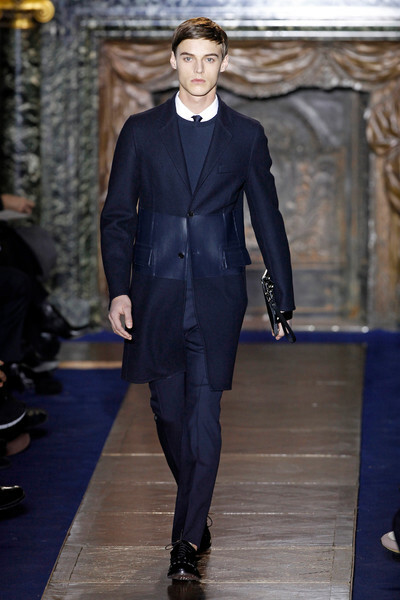 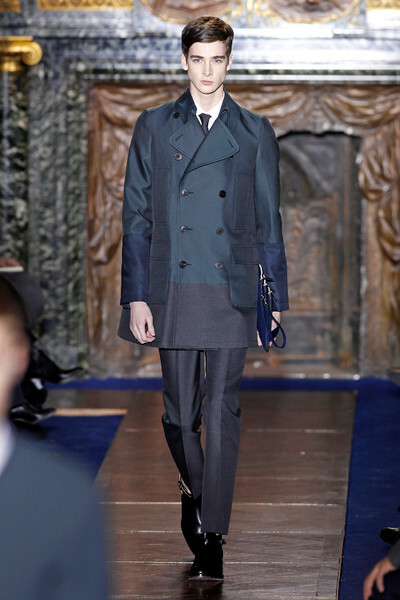 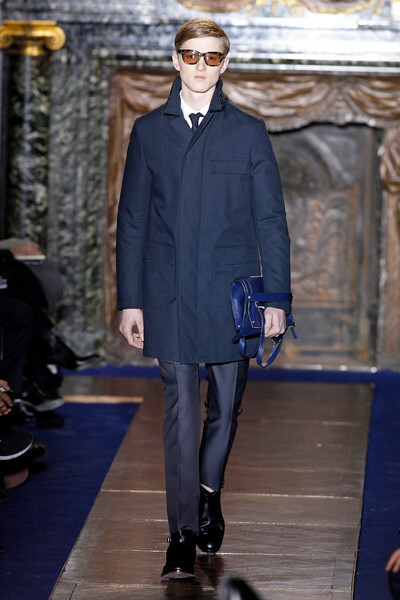 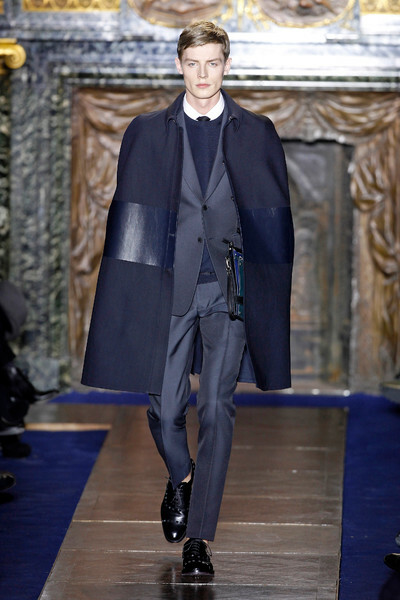 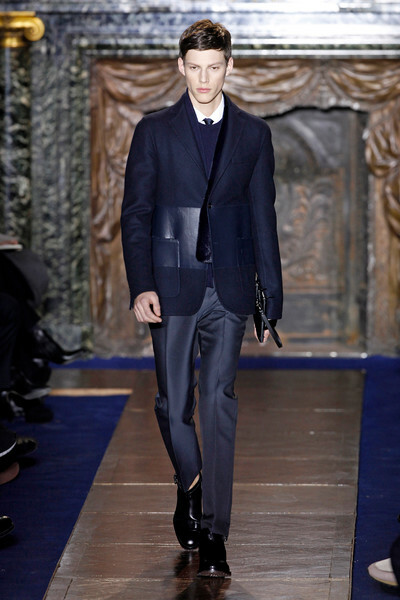 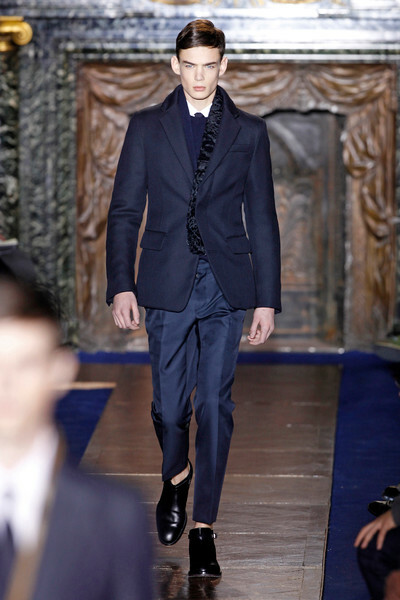 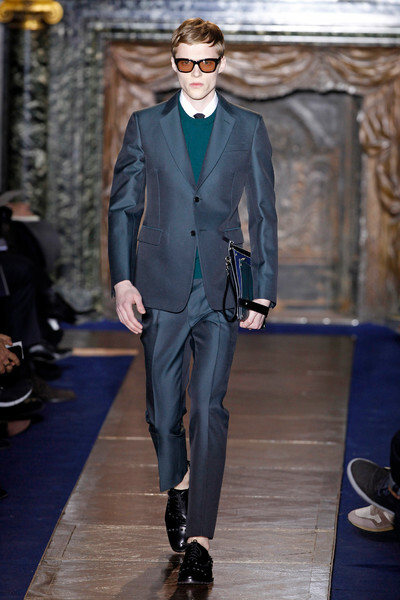 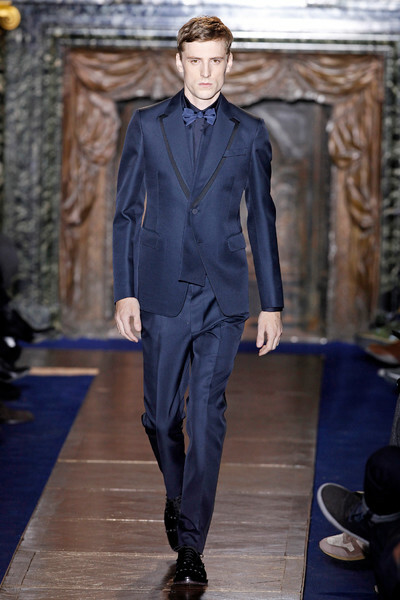 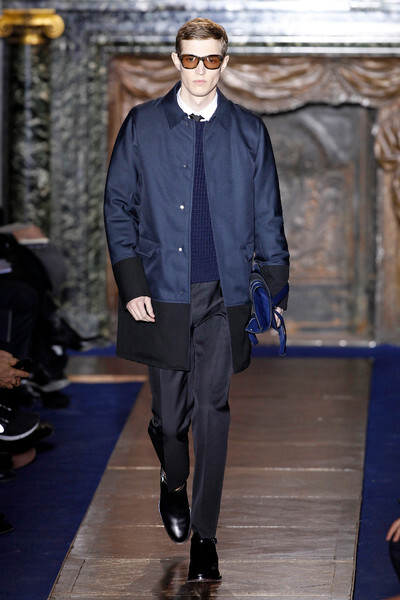 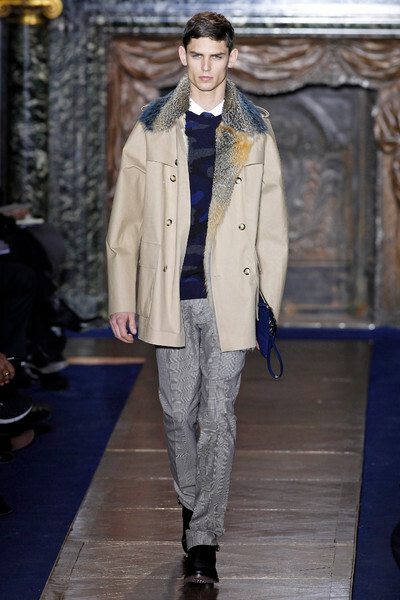 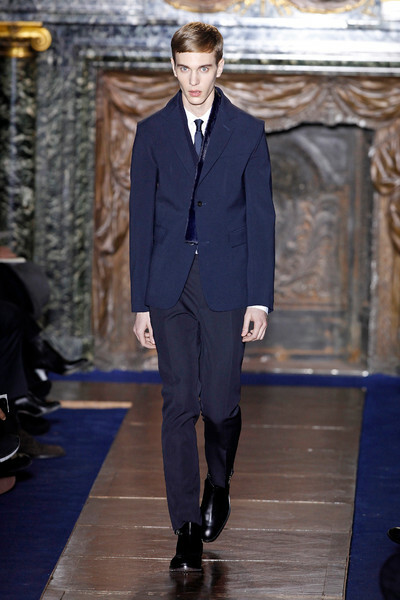 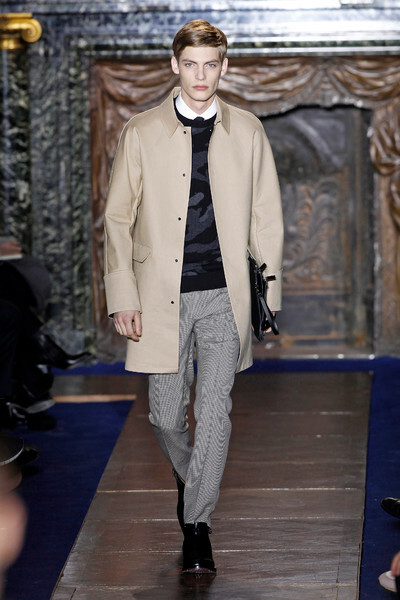 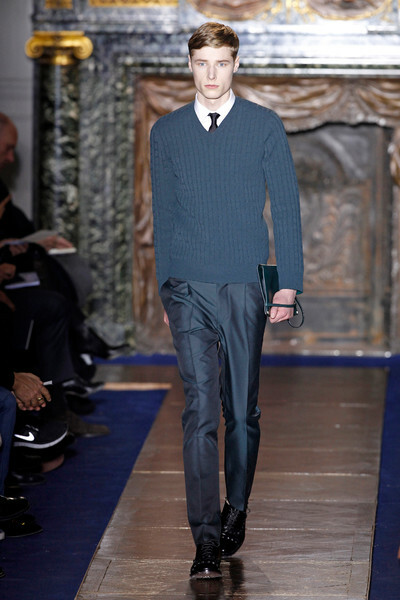 At Valentino we were surprised by a perfect mix of British style and Italian craftmanship. 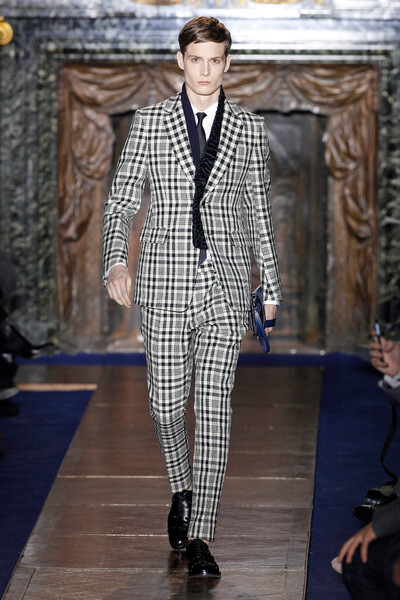 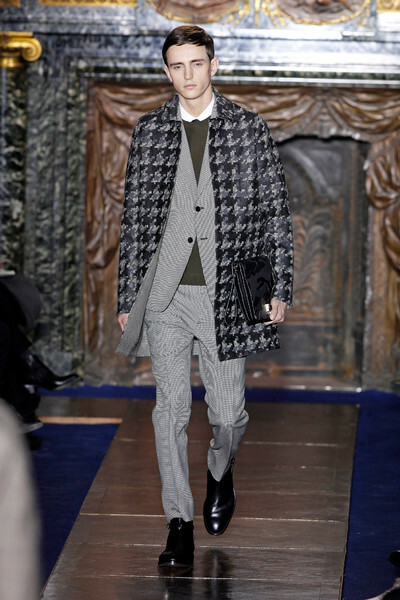 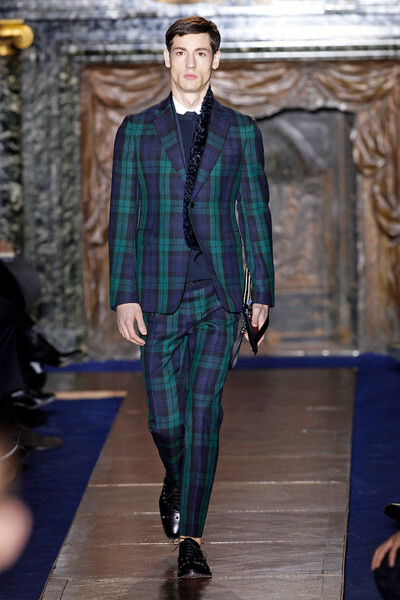 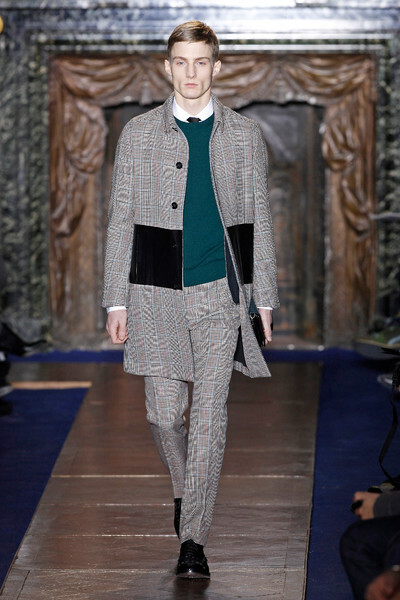 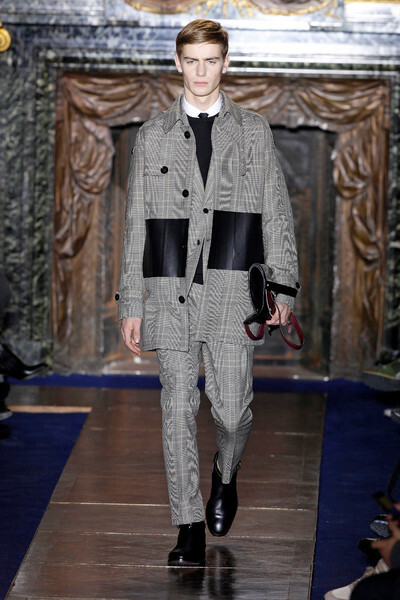 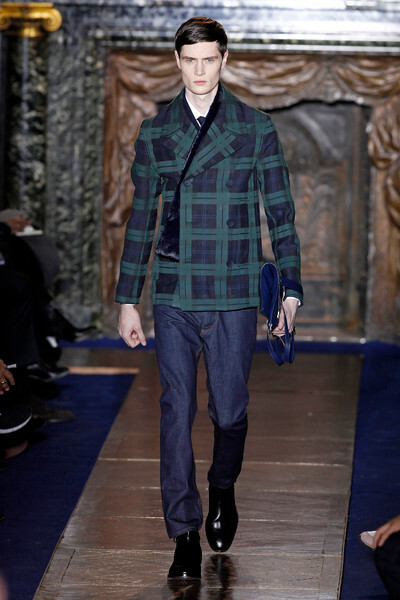 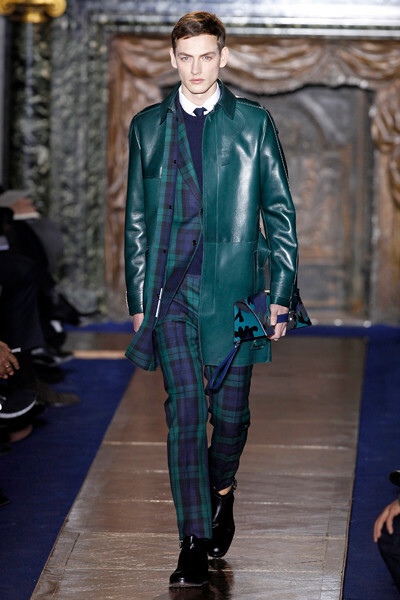 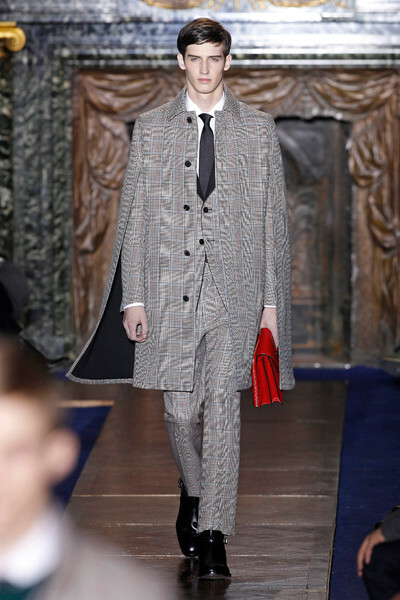 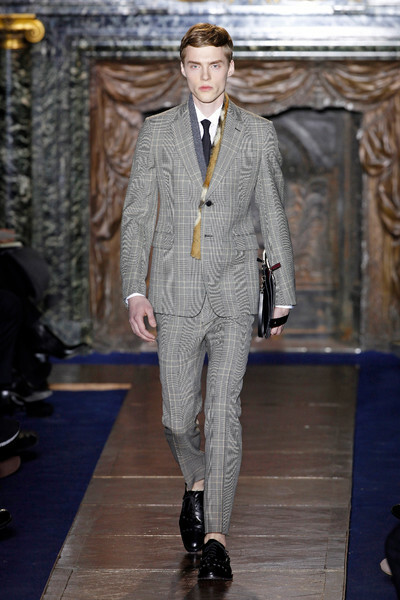 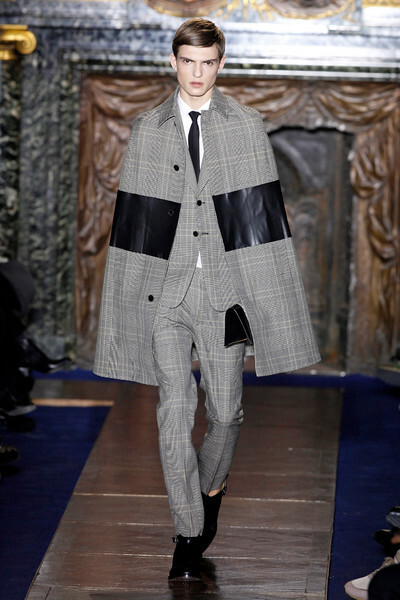 Suits, with houndstooth and Tartan checks, were given a modern touch by pieces of leather and a tight fit. 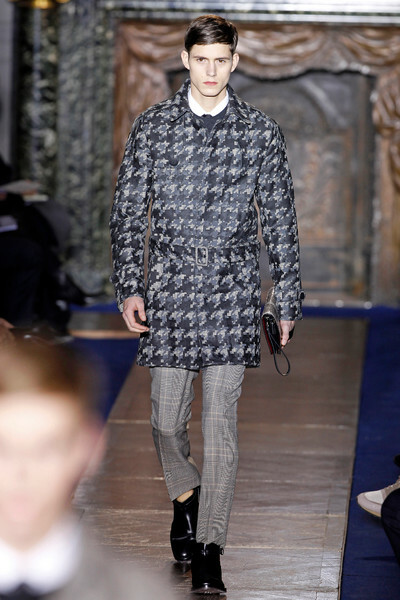 Models looked their best in fashionable pieces like a checked cape, a camel coat with fur detailing and a sportive army printed parka. 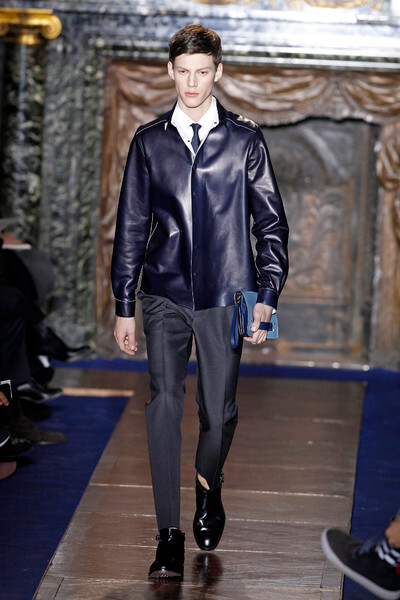 Next to the perfectly cut leather jackets, the slick pleated pants and business chic loafers, colored classes and casual briefcases all breathed modern luxury.